What Is Secured VS. Unsecured Debt In Ohio? 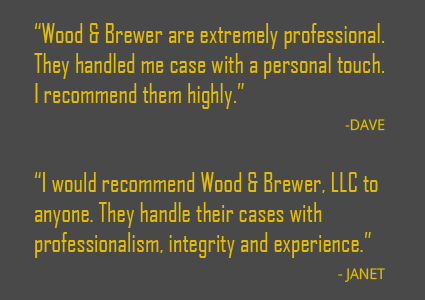 Wood & Brewer Answers. What Is Secured Debt vs. Unsecured Debt in Ohio? Loans are divided into two types: secured and unsecured debt. While there are some fine differences between the two, the most important difference is the idea of collateral. Unsecured debts are offered by lenders without any guarantee that they will receive their money back. Secured debts are offered by lenders on the basis that you offer up an asset as collateral if you are unable to make payments. Secured and unsecured debts are both a part of a daily financial life, but the stakes for secured debts are naturally higher because the borrower is offering his or her assets to guarantee the loan. As a result, if a borrower defaults on a secured debt, the lender has the right to seize the collateral that was offered up. For this reason, large loans are almost always guaranteed by some kind of crucial property, like real estate. Unsecured debts, on the other hand, are a much larger risk for lenders. Because borrowers do not offer collateral, lenders of unsecured debts stand to lose more. They will have to resort to debt collection methods or the courts in order to retrieve their money, so they offer loans at higher interest rates with stricter income requirements. These loans are often smaller and have shorter term limits. When a borrower declares bankruptcy, most forms of unsecured debt are discharged, with the exception of student loans in many cases. However, as secured debt is specifically tied to physical assets, borrowers will have to sell their asset to pay off the debt or create a payment plan. Unfortunately, courts will often allow lenders to continue with repossession after a bankruptcy if a borrower is not current on their payments. For more information about bankruptcy and debt, contact our Columbus bankruptcy attorney!